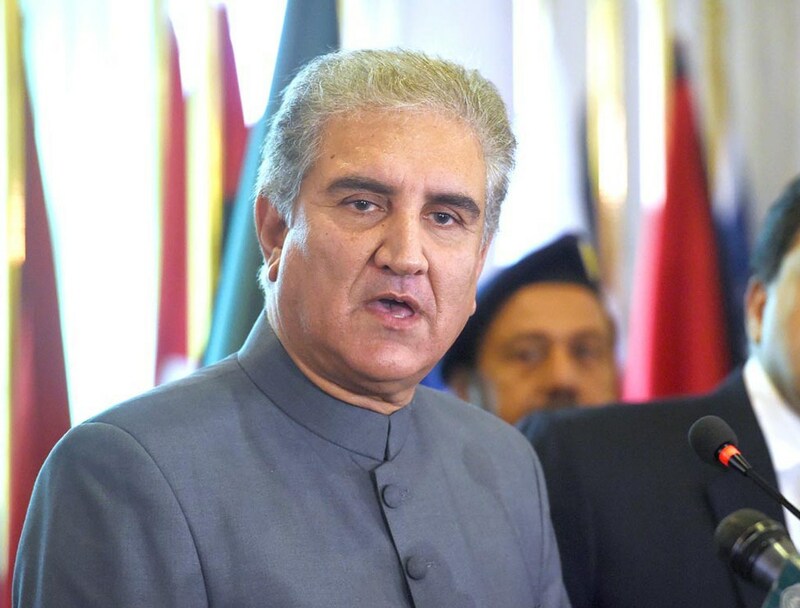 In what the government termed as a ‘killing spree’ by occupation forces in Indian-occupied Kashmir, Foreign Minister Shah Mehmood Qureshi on Sunday called attention to the humanitarian crisis against innocent Kashmiris in the occupied territory. “Over 500 casualties have occured in 2018. In November, 18 unarmed Kashmiris were killed,” he stated, while addressing a press briefing in Islamabad. On the occasion, FM Qureshi requested international human rights organisations to focus on the Kashmir issue. He apprised the media about letters sent to the United Nations Secretary General, UN Human Rights Commissioner and Secretary General Organisation of Islamic Cooperation. “I have asked them to intervene so that people are relieved from this barbariansm,” adding that he had also requested all Pakistani missions abroad to ask countries to take immediate measures. “I have also asked to organise an immediate OIC meeting. We are ready to host it here in Islamabad or we can also go to Jeddah if the meeting is held there,” he added. He further said that the OIC has asked Islamabad to write a formal written request. “We have decided that our consulate in Jeddah will give them the formal request for OIC meeting,” he apprised adding that he has presented his recommendations before the Senate committee and plan on organising an international conference in London on February 5 to drive world’s attention to the issue. “I demand all political forces in Kashmir to unify for the cause as they are the most important party to the dispute”. He further stated that the EU and its parliament has decided to have a public hearing for the issue of atrocities on Feb 19. Pakistan will be part of the hearing. During the addresses, the foreign minister demanded that all political forces in Kashmir unify for the cause as “they are the most important party to the dispute”.